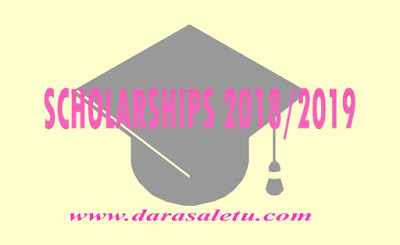 Home / NEWS / THE EMBASSY OF MAURITIUS IN TANZANIA INVITES APPLICATION FOR SCHOLARSHIPS 2018/2019 ACADEMIC YEAR. THE EMBASSY OF MAURITIUS IN TANZANIA INVITES APPLICATION FOR SCHOLARSHIPS 2018/2019 ACADEMIC YEAR. 1.0 The Embassy of the Republic of Mauritius presents its compliments to the African Union Commission and all Permanent Mission of the Members States of the African Union and has the honor to inform that the Government of Mauritius has launched scholarships for full time, on-campus undergraduate studies in public Tertiary Education Institutions (TEI's) in Mauritius to deserving students who are resident citizen of member of the African union. Applications are invited from qualified Tanzanians to fill 10 positions for Undergraduate studies (Bachelor Degree) scholarships tenable in Mauritius for the academic year 2018/2019. so as to reach him not later than 10th April, 2018.